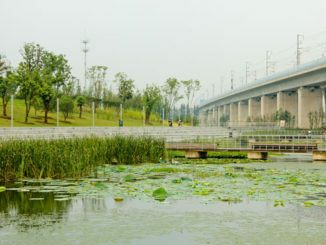 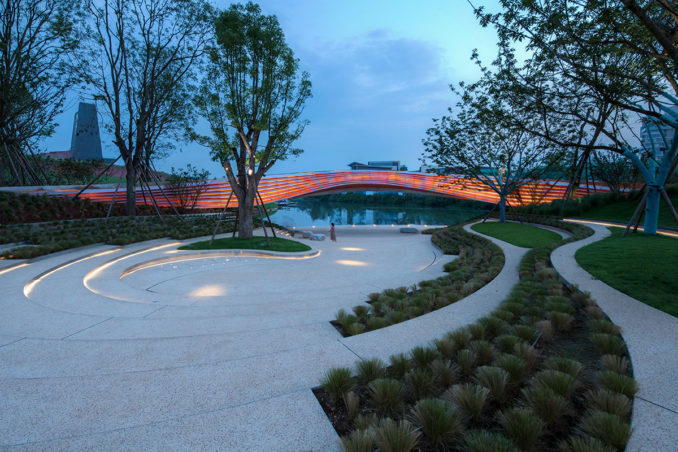 As part of the Luhu Arts & Exhibition Centre, the 8,800m2 Sculpture Park and Wave Bridge is intended as an iconic gateway public domain between Chengdu City and the new Luhu District. 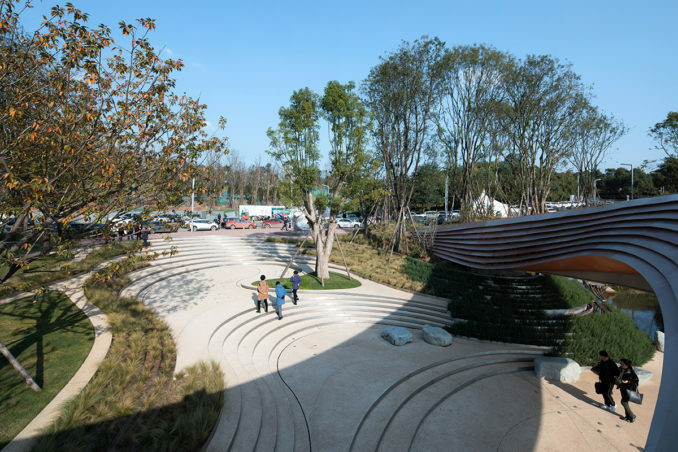 The Luhu Sculpture Park not only provides visitors with a memorable entry experience to the Arts Centre, but also creates a much needed public space that connects with the adjacent communities. 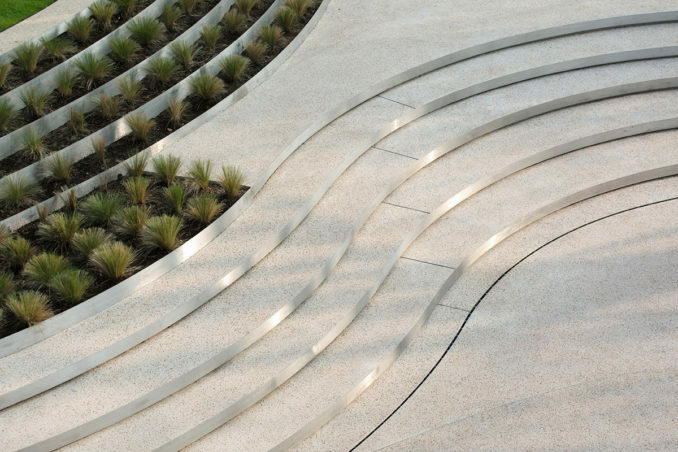 The entrance to the project site is a narrow steep embankment, originally designated to be an entry car park and pedestrian access node. 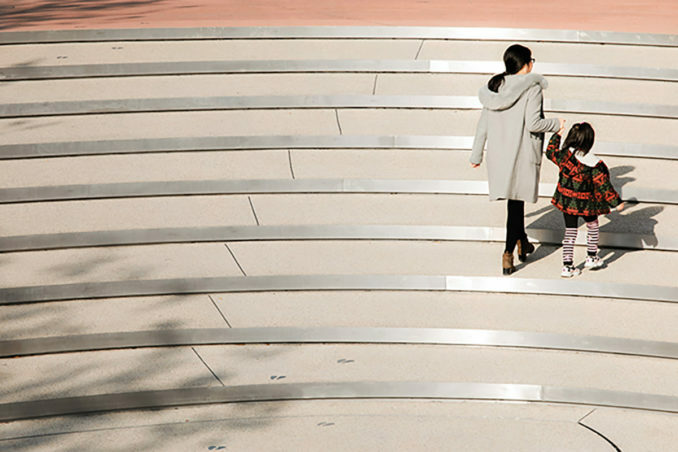 One of the key design strategies is to embrace this condition and create a memorable arrival experience whilst promoting opportunities for access and spatial diversity. 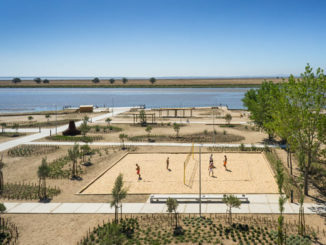 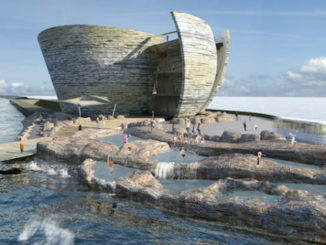 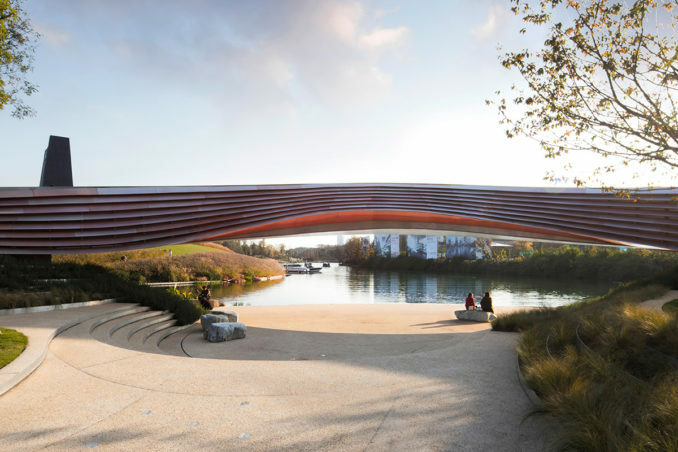 The end result pushed the boundaries of the brief to create a truly unique waterfront experience featuring an amphitheatre to the lake, waterfront promenades and a landmark Wave Bridge linking adjacent developments with the new Art Centre and Sculpture Park. 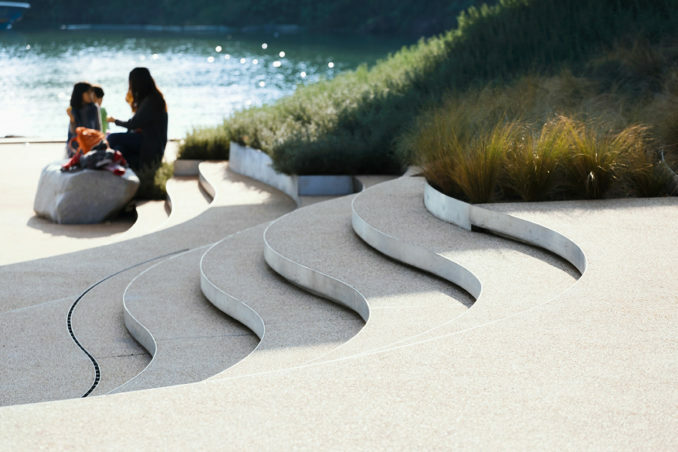 Utilising the steep embankment a variety of access experiences a created. 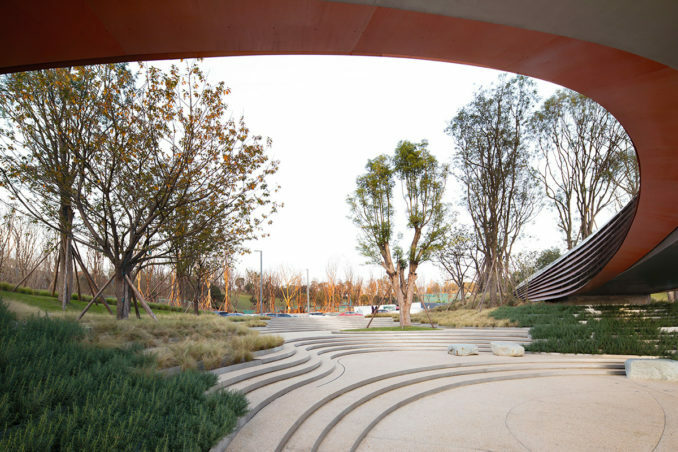 The upper path takes visitors along a more direct route into the park flanked by open lawns, whilst the lower water edge path is an intimate meandering experience nestled amongst native planted berms and wetlands. 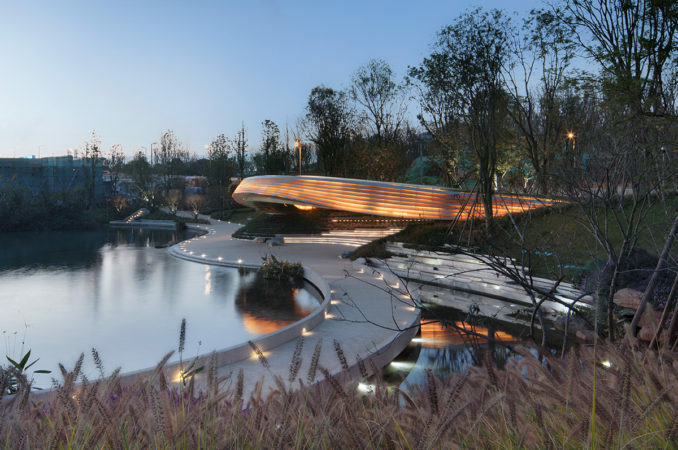 The terraced organic spaces, seating rock-boulders and amphitheatre steps are reminiscent of Chengdu’s mountains and lakes. 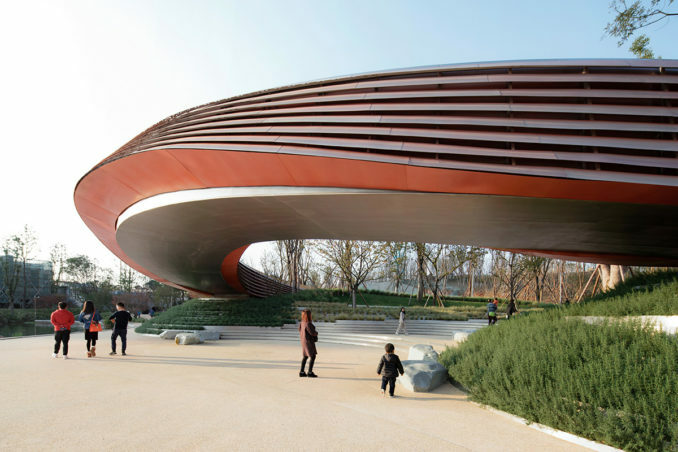 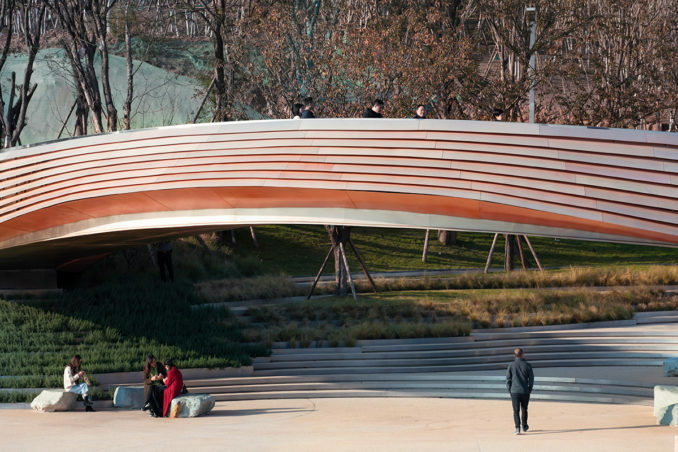 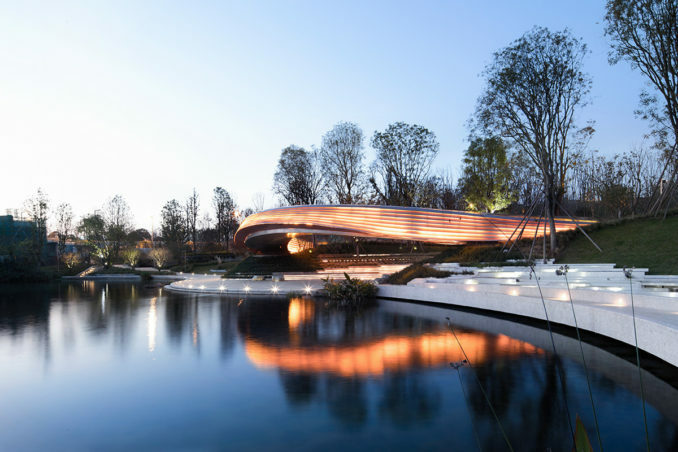 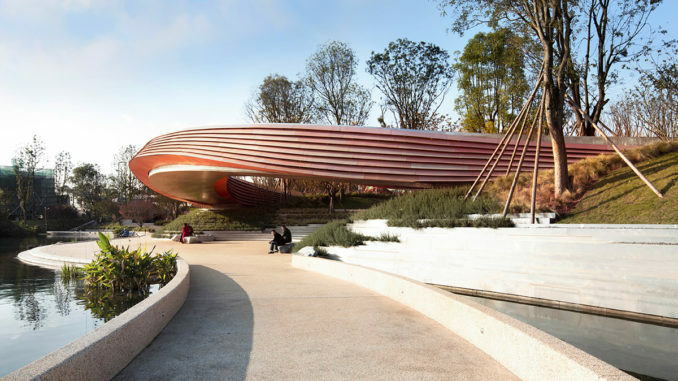 The ripple concept is further conveyed through the iconic pedestrian wave-shaped bridge, benches and sculpted berms. 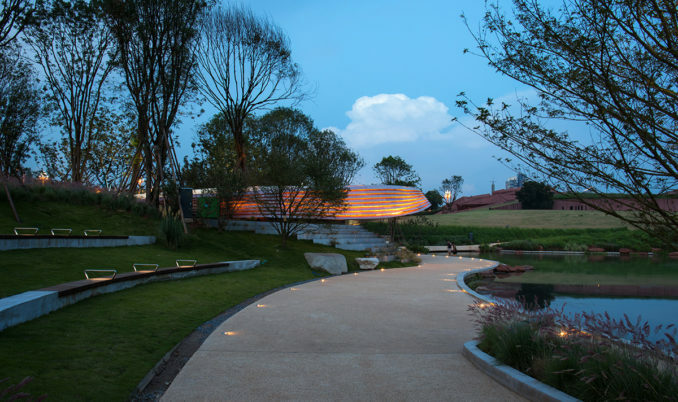 This design approach ultimately offers great flexibility in negotiating the site’s irregularities and access challenges whilst instilling a diverse range of experiences within a compact space. 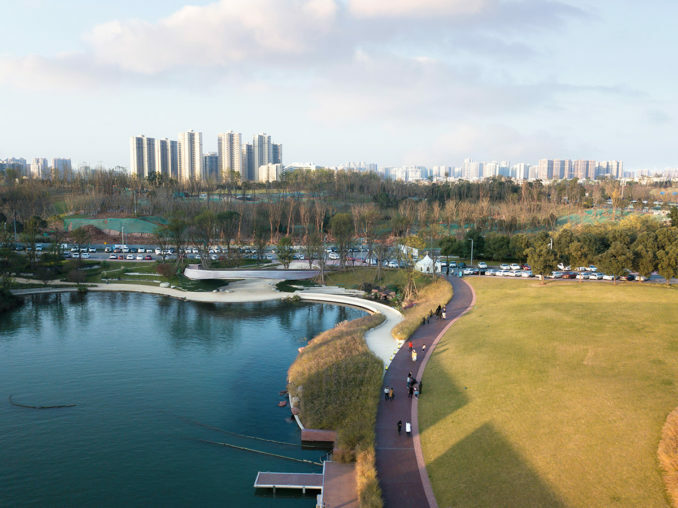 The Luhu Art & Sculpture Park is a powerful landscape gesture that is both a compliment and enhancement to the Exhibition Centre development experience.